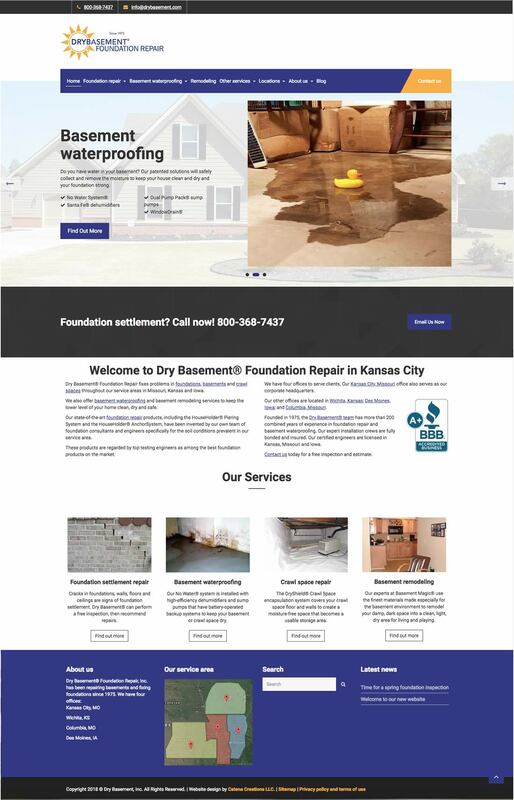 Redesigning the website for Dry Basement Foundation Repair involved much more than making it look better. The company has four offices, and each office had its own site. We combined the four sites into one, giving each office its own page to highlight its staff, reviews and contact information. The site was build in WordPress, replacing outdated code and incorporating a number of tools for search engine optimization. Catena Creations launched the new site in February 2018, and maintained it through July 2018. 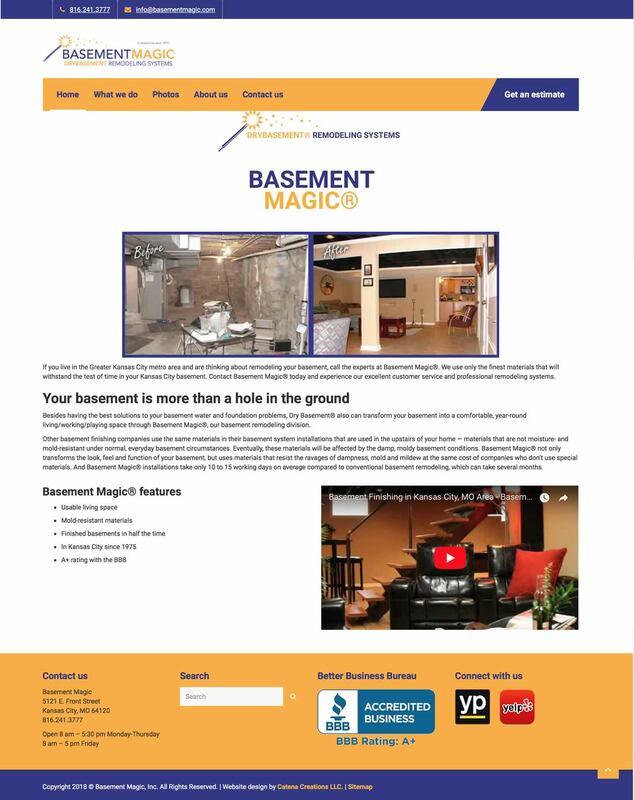 The same template was used to redesign the website for Basement Magic, a companion company of Dry Basement. We altered the color scheme to give the site a unique look while tying its branding to the parent company. Outdated pages were removed, and the rest of the text and graphics were updated and refreshed. This new look was launched in March 2018.